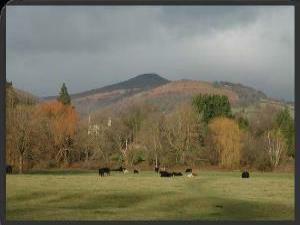 13 Abergavenny to Govilon at Abergavenny Bus Station01633 644850work Walking RouteThe route skirts Abergavenny Castle and Castle Meadows on the banks of the Usk before crossing the river and going under the Heads of the Valleys Road to Llanfoist. You continue up steeply to join the towpath of the Monmouthshire & Brecon Canal at Llanfoist Wharf and follow this to Govilon. The return is along the old railway line, now a cycle path, to Llanfoist Crossing where you retrace your steps to cross Castle Meadows into Abergavenny. Points of interest include Abergavenny Castle and Castle Meadows with its fine views of the surrounding hills; Llanfoist Wharf and the Monmouthshire & Brecon Canal. The route skirts Abergavenny Castle and Castle Meadows on the banks of the Usk before crossing the river and going under the Heads of the Valleys Road to Llanfoist. You continue up steeply to join the towpath of the Monmouthshire & Brecon Canal at Llanfoist Wharf and follow this to Govilon. The return is along the old railway line, now a cycle path, to Llanfoist Crossing where you retrace your steps to cross Castle Meadows into Abergavenny. Castle Meadows circuit 1.2 miles / 2 km from Byefield Lane car park. Govilon along the canal and cycle track from Llanfoist Crossing, 2.8 miles / 4 km, about 1.5 hours. Shops, cafes and pubs in Abergavenny. Pay and display parking at the bus station. Tourist Information Centre at the Tithe Barn, next to St Mary’s Priory Church,. telephone 08712 002233, text 84268.